Christmas season in Sweden offiicially kicks off on Luciadagen (St. Lucia Day) on December 13… but one special day precedes the month of celebrations, setting the stage for the yumminess of the month-long Swedish Christmas: pepparkakans dag! 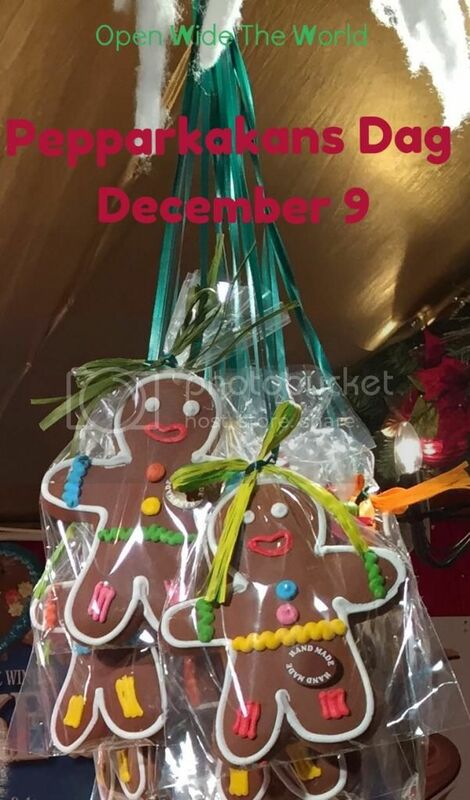 Pepparkakans dag falls on December 9… today! On this day, Swedish families bake their gingerbread cookies for the season. Of course, many families opt to forgo the rolling pin and purchase their seasonal pepparkakar instead. Want to make your own pepparkakar? There are plenty of recipes around the e-world… but an especially yummilicious recipe for pepparkakar is included in our Multicultural Kid Blogs' "Celebrate Christmas Around the World" packet. Whether you're baking pepparkakar today, or making some other holiday favorite, I hope it is a yummy start to the celebrations ahead! You can find lots more fun and yummy Christmas trivia and info on the MKB Christmas in Different Lands series. In our family, growing up, the Thanksgiving turkey, however delicious, was always overshadowed by two things. One: the annual drive through horrendous weather up into central Minnesota, and Two: games! Yes, a big part of every Thanksgiving weekend was dedicated to family game time, with the game du jour (or game d'année, as it were) often being the latest in family gaming... before "gaming" was ever a word, and of course before screens had any part of things. One year, it was Boggle, another Uno. In later years, maybe Scrabble, then Trivial Pursuit, and my favorite, Pictionary! This year, Mag is suuuuuper into charades. (Fellow language lovers are probably getting excited at all the linguistic implications of this hobby, right?!) We have found that at Mag's age, charades with pictures work well... but have run out of picture cards, right before our big weekend of family game time. Ack! And thus was born my latest facebook fan freebie, called "'any langauge' charades." Would you like to play with your family this weekend? Or with your language class next week? To access, simply head to my facebook page - be sure to "like" and "follow" it! - and look for the "free downloads" button in the left sidebar. Then download, print, and play. Perfect for family game time, and ideal for promoting use of your family's second (or third!) language. Also fun for foreign language classes, to keep students engaged in these final weeks of the semester. I hope you enjoy! And Happy Thanksgiving! I've not made a secret of how much I love globes and maps, and all things "world," I know. 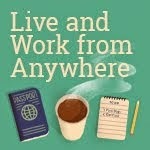 But have I ever mentioned my other love (well, besides clip art, food, and travel!)? CHRISTMAS! Yes, I am one of those adults who just never outgrew the magic of the Christmas season. (I know, we really annoy the bah-humbuggers out there, don't we?!) And so, it has been my utmost pleasure to spend these past few weeks working with two fabulous fellow bloggy-packet creators from Multicultural Kid Blogs (Judith of Little Bilingues and Monica of Mommy Maestra), creating a "Celebrate Christmas Around the World" packet! The cover page features the country's flag and a Christmas greeting in the language of the country. This page includes the country's official name and common name, its location circled on a world map, capital city, location, population, official language(s), and an interesting fact. These two pages share the important and traditional celebrations of the country, and include cute graphics for students to color. 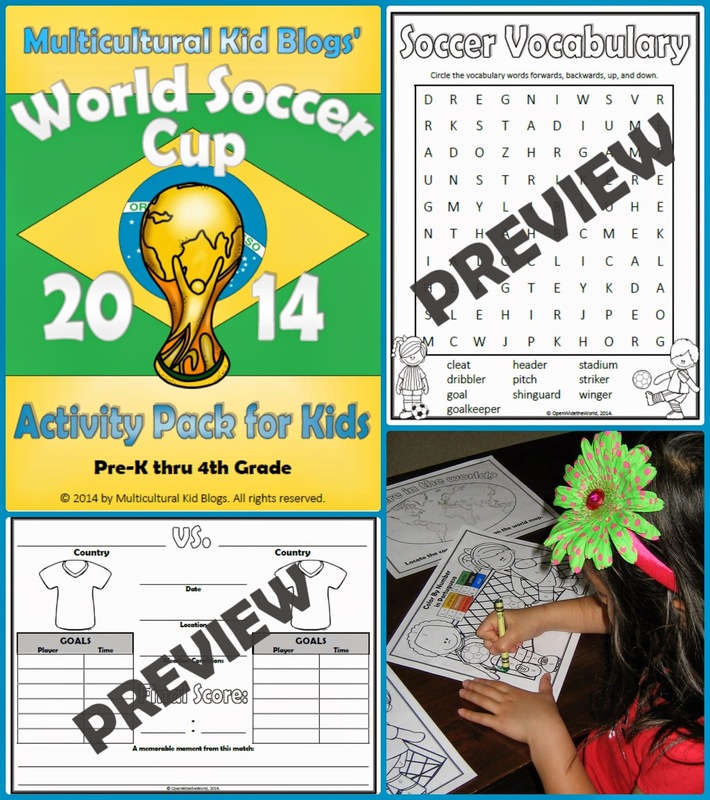 The activities range from a word search to a DIY board game! Make and taste a traditional holiday recipe from each country. 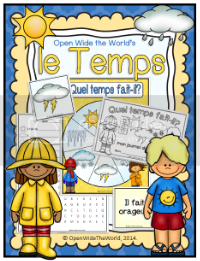 After completing the packet, students will have the opportunity to show what they have learned by answering 12 comprehension questions, 2 for each country. We truly hope you and your students enjoy this peek into Christmas celebrations around the world! On behalf of all of us at Multicultural Kid Blogs, we wish you a wonderful and multicultural Christmas season! When Becky of Kid World Citizen recently reminded me that Chicago is home to the National Museum of Mexican Art, I mentally filed that under "check it out someday soon!" So when the NMMA's "Rito y Recuerdo" exhibit topped Aimee's (Raising World Citizens) list of Chicago's "must-do's" for Día de los Muertos, we were ready to go! Wow!... or "¡Guau!" What an impressive display! More than 60 artists participated in the creation of this exhibit, which includes "altares y ofrendas," installations, and popular art. We maximized the exhibit by joining a guided tour, and learned so much more than the "altares" basics we knew upon arrival. An altar would traditionally be constructed in 3 tiers, each tier making an important representation: the underworld, earth, and heaven. Of course, in all things Día de los Muertos, the underworld is not depicted as a horrible place full of misery, and on Día itself, its residents are always seen celebrating! Along with photos, personal mementos and trinkets, each of the 4 elements - earth, air, fire, and water - are commonly represented in the items chosen for the ofrenda. Fire and water are easy to spot in the candles and drink offerings. Fruits and grains, and even clay pots, can represent the earth. Air can be a bit of a stretch, at least in the "altares" we saw, where altar shawls and "papel picado" that blow in the wind symbolized air. If you've enjoyed this peak into "altares y ofrendas" and are ready to try your own, MommyMaestra is running an Ofrenda Photo Contest. To make it more fun, one of my favorite books is included in the prize pack! Excited to teach your kids or students more about Día de los Muertos? Be sure to check out my Día de los Muertos Bilingual Activity Pack, with a book, mini-books, and activity sheets, all in English and Spanish! As a child, it is a fun and memorable week at school. Now as adults, we also understand what an important week it is for our children and their safety and well-being. And we realize that to reap the full benefits of this fun week at school, our children most certainly need to understand all of the information coming at them. So what, then, about children in Dual Language and Language Immersion programs? Can our children absorb all of this critical information if it's coming at them in a non-native language? How can we ensure their comprehension of this potentially life-and-death topic? First: Talk with your children at home (in your home language) about fire safety. Don't remember all the basics yourself? Jennifer at The Good Long Road shares 10 tips directly from a fire fighter here. Second: Help your children attain a good grasp on fire-related vocabulary in the language of their schooling. In this way, their energies won't go toward new-vocabulary-acquisition during Fire Safety events at school; rather, their minds will be ready to absorb the critical safety information. 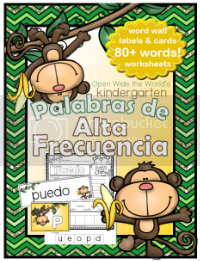 Jennifer from Spanish Playground also has links to various free Fire Safety printables in Spanish here, including a great document from The Hartford here. Finally: Reach out to an area fire station for more activities and resources. If you feel the language barrier, or any other challenge, has prevented your child from fully grasping the important safety messages of the week, contact your local fire station. (Don't call 9-1-1 for this! Check the phone book or online for a station house number.) Depending on your area, materials may be available in multiple languages. And if you get the right person on the phone, you might even be invited by the station to visit (or at least to pick up the materials, which is still exciting for the kiddos)! "Okay, Parents, let get out there and save some lives!" 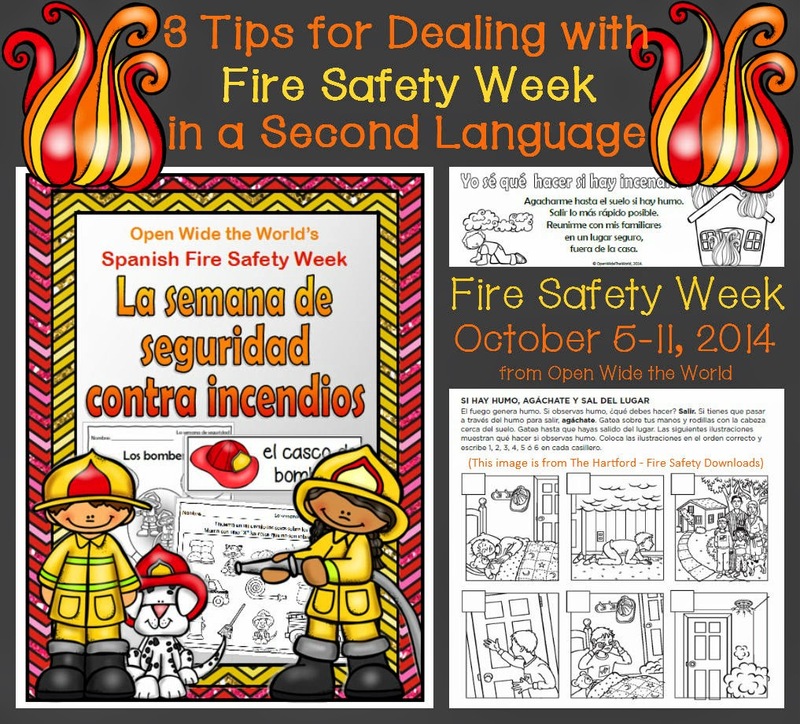 Any other great tips to help multilingual kids maximize the lessons of Fire Safety Week? Share your experience in the comments! We're just crazy about apple season in our household! 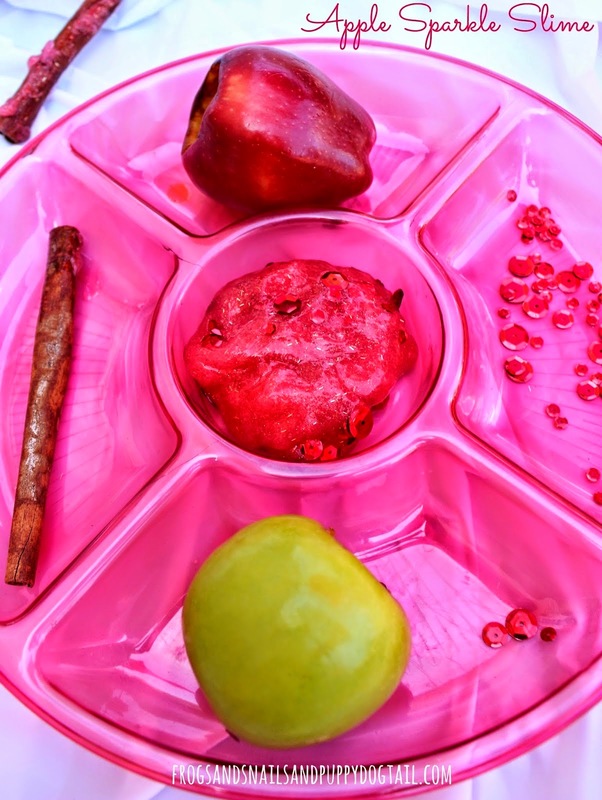 You might have noticed from my APPLE-themed facebook FREEBIE, my Spanish kindergarten APPLE packet, and my FREE Life Cycle of an APPLE Pop-Up Book. I just love this season, and this fruit, so much that I asked a few international blogo-friends to share their apple experiences and ideas. Now in Alberta, Valerie keeps the apple-picking tradition alive with her husband and their young son (who has been picking apples since infancy!). 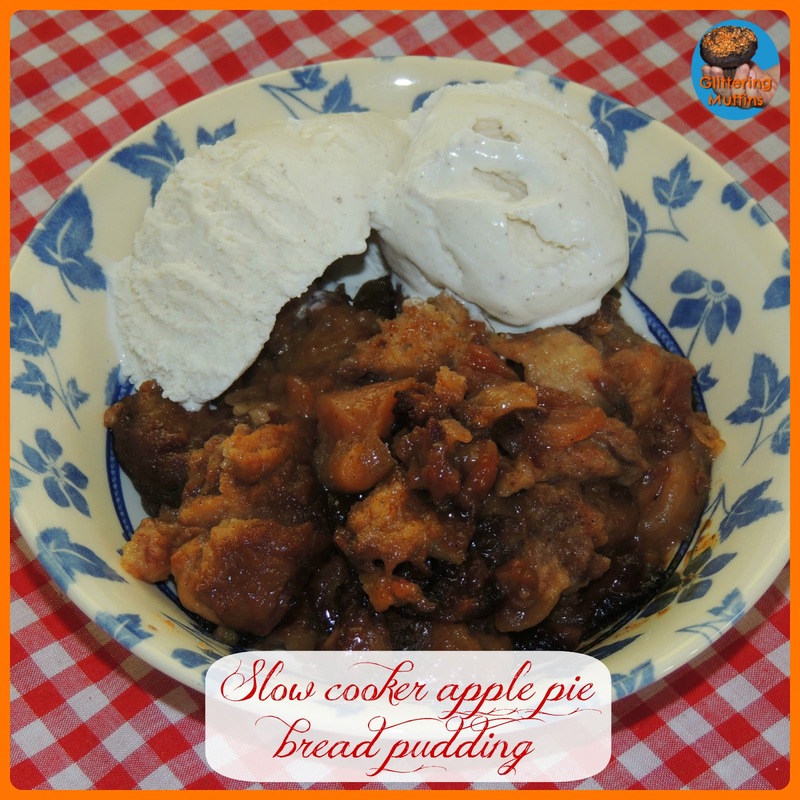 Inspired by her mother's Austro-Bavarian "scheiterhaufe" recipe, Valerie and family share their recipe for a delicious looking crock pot apple pie bread pudding. Find it here. Mmmm. As a Polish woman with a German husband, Olga (aka The European Mama) has not one, but TWO great recipes to share. The first one I'm going to taste-test will be "szarlotka," or Polish apple pie (recipe here). With a crusty bottom, a meringue top, and apples in between, you can't go wrong! Check out that same post for Olga's German MIL's recipe for a German covered apple pie. I feel myself embracing the German side of my Alsatian heritage at this very moment! On a less international note (and less calorie-ridden, too... because, yes, there is more to life than food... who knew?! ), Jaime has about a buzzillion ideas for apples and kids on Frogs and Snails and Puppy Dog Tails. Painting with apples, apple scented dough, apple books, apple crafts, apple treats... you name it, and if it's about kids and apples, she's got it! I'm kind of intrigued by the apple volcanoes, but I'm pretty sure I know which one Mag will want to try first: apple sparkle slime! If you have great apple ideas and recipes of your own, you know I want to see them! Apple Season is Here! ... a product and a FREEBIE! For yet another year, the Midwestern summer weather has been a bit strange, having felt like fall for much of the summer... which might be why I feel extra ready for: APPLE SEASON! Anyway, so yes, we did make it to the orchard and had tons of fun... and tons of apple cider donuts! And thus, upon arriving home, I couldn't help but create a few apple-related products. This first product is a FREEBIE! And a fun one, at that: a 4-page "Life Cycle of the Apple" pop-up book... in four languages! You can find it here, in my Teachers Pay Teachers store. In Kürze (German="coming soon"): more apple fun from around the world! 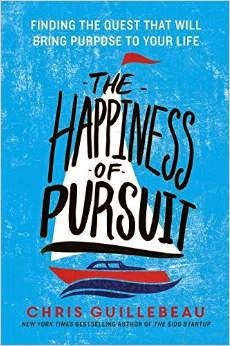 "The Happiness of Pursuit" ... released today! "Finding the quest that will bring purpose to your life." Wow! A quest that will bring purpose to my life? Sounds great, doesn't it? The sentence above is the by-line from author and travel guru Chris Guillebeau's latest book, released today: The Happiness of Pursuit. I received an advance copy of this book, for review purposes, under the sole obligation to provide my honest opinion. I was not required to give a favorable review. And so there is that side of the book: the side that makes you want to just get out there and do something fun and adventurous. Off the couch. Into the big wide world. Prove something to yourself. Or to others. Or find yourself. Or shock your friends. Or simply break up the routine. Whatever you've been needing, or wanting, or dreaming of. That side of the book makes it a terribly enjoyable read, such that you might even be tempted to complete the book in one sitting (although, at 263 pages, it would, admittedly, be a very long sit). Nonetheless, despite the few stories that emoted a hopeless disengagement from reality, taking into consideration the entirety of The Happiness of Pursuit, I can't help but say I found it an engaging and entertaining read. Happiness has inspired me, not to create a quest to give my life purpose as its by-line suggested, but to make a few fun changes in my every day life. I am grateful for the several questers who have stirred me to explore and develop dreams that have been latent in recent years. And grateful to Guillebeau whose book brought those inspiring stories to me! Oh my goodness, has it really been over a month since I posted a freebie? Well, then I guess it's time for a new one! My latest freebie is a "facebook fan freebie." 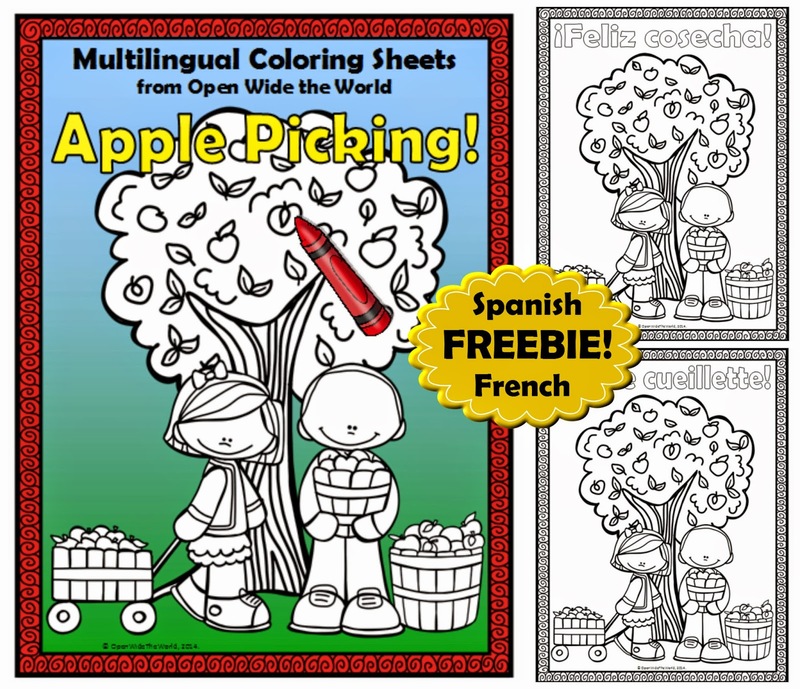 To access these multilingual apple-picking coloring sheets, head to my facebook page, and look for the "free downloads" button on the left sidebar. Credits: Super cute graphics by Educlips. Frame by Creative Clips. A new member joins the Open Wide the World team. It is an honor and my pleasure to introduce: Lily, my new proofreader! Lily will be proofreading the Spanish language products for my Teachers Pay Teachers store. 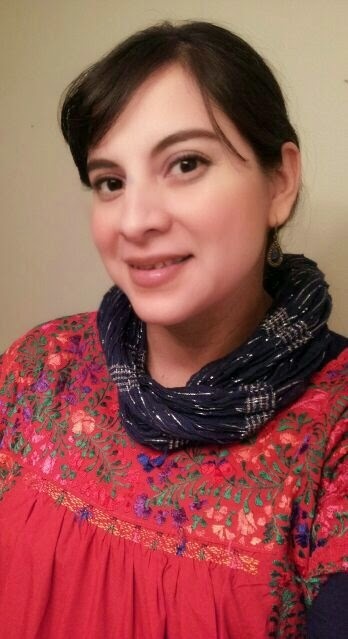 Lily is a longtime friend, a sister of sorts, from the beautiful city of Oaxaca, México. Lily and I met in high school in our senior year, when I had just returned Stateside after a foreign exchange year in New Zealand, and Lily herself had just arrived as an exchange student in my family's home in the U.S. It was a magical time in both of our lives, a time that passed all too quickly, and has seemed almost a dream when looking back from the years that followed. In those many long years since our high school foreign exchange adventures, Lily has amassed experience in Clinical Psychology and psycho-pedagogical studies (still trying to wrap my head around that one! ), and most recently, my favorite: Bilingual Research Associate at an American university's Early Childhood Education Institute. 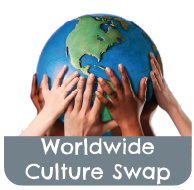 A gal who loves travel, languages, and children? A perfect match for Open Wide the World! I hope in coming months, beyond just proofreading tasks, I hope Lily will feel inspired to share pictures and stories of her beloved Oaxaca, as well as maybe a few of her mother's wonderful, traditional Mexican recipes. Yay, my favorite event of the year is here: the Back-to-School sale on Teachers Pay Teachers! My entire store is discounted 20% today. Plus, use code BTS14 to receive an additional 10% off sale prices! Many stores on TpT are offering this same deal. Happy shopping! Canada Day, 2014 - FREEBIE! In honor of the 147th birthday of our neighbor to the North tomorrow, please enjoy this FREE coloring sheet! 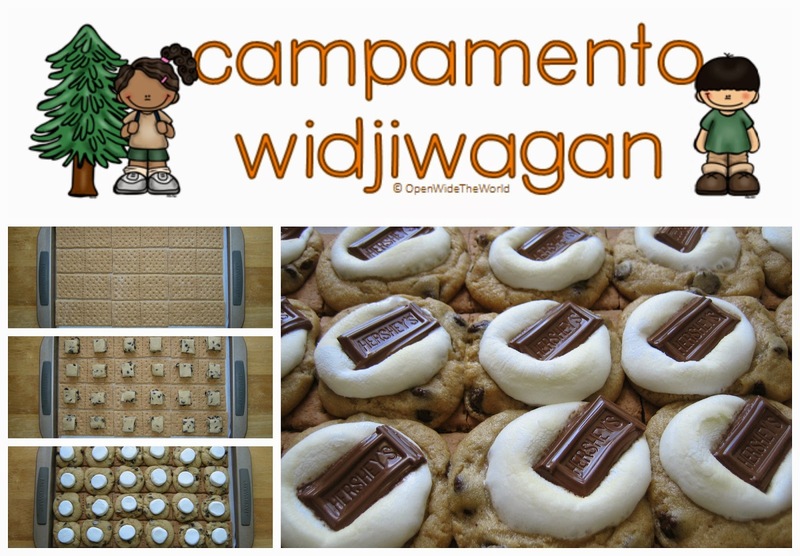 Campamento Widjiwagan, Week Four - Marshmallow Shooters! 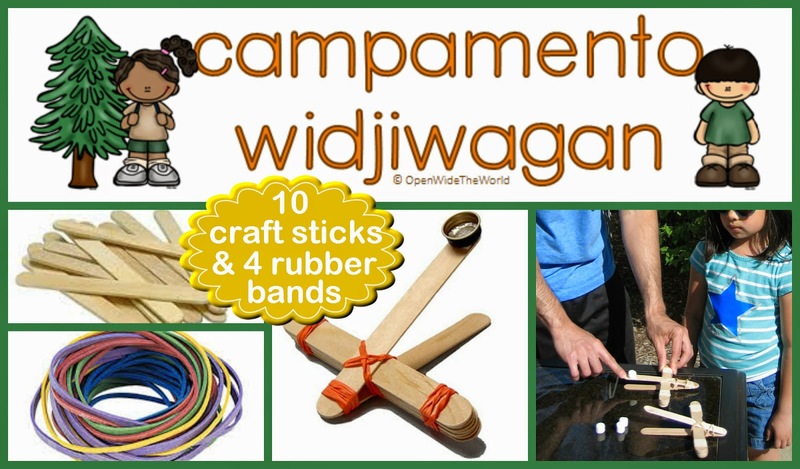 Our last week of the month-long Campamento Widjiwagan experience... I have to admit, I'm feeling a little bit sad that it's almost over. It has been so much fun, reliving old summer camp memories, and creating some new ones, all while reviewing Spanish kindergarten skills. As always, a highlight at Campamento Widji has been our summer camp extra-curriculars! Gather plastic party cups and balloons, one of each per person. Cut off the bottoms of the cups. Tie off the ends of the uninflated balloons, then cut off the top end. Stretch a Tied-off & cut balloon over the mouth of a cut-off cup. Then drop a mini-marshmallow into the cup and point the cup upward and away. Pull the knot of the balloon toward you, then release, and watch the fun unfurl! Just two more days of our Campamento Widjiwagan fun, then a week off for a 4th of July holiday, and on to our next adventure. Always more fun ahead! And you? How are you keeping summer review fun? 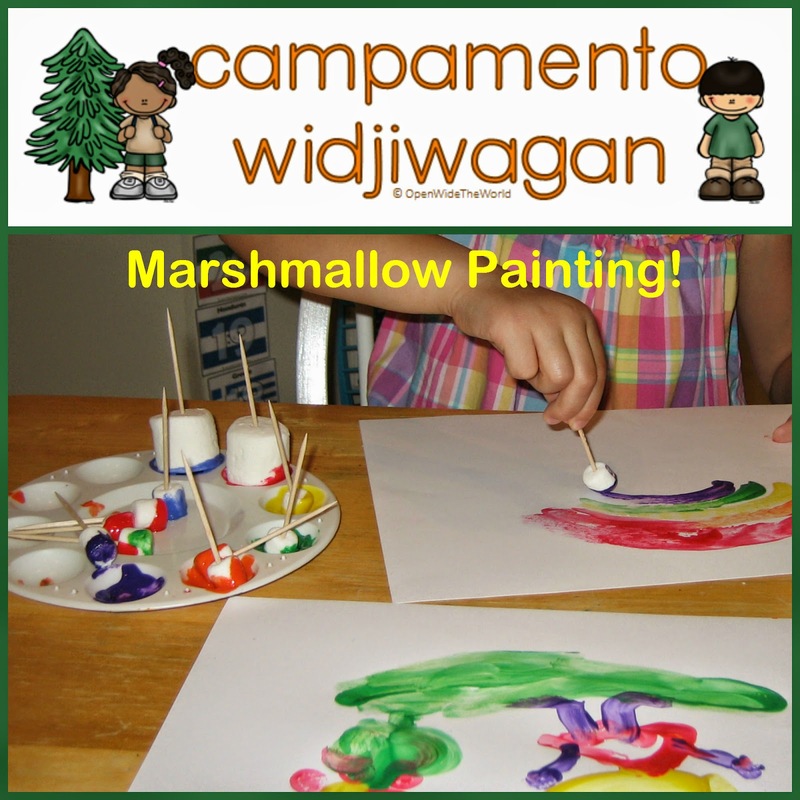 Campamento Widjiwagan, Week Three - Marshmallow Painting! Continuing on with Week Three of our month-long Campamento Widjiwagan experience... the fun and learning continue! Mag's enchantment with our summer review book has not worn off! It's the first thing she does every morning, even before asking what time we're going to the pool! and awareness of the 5 senses. But you know, Camp Widji is not all work! 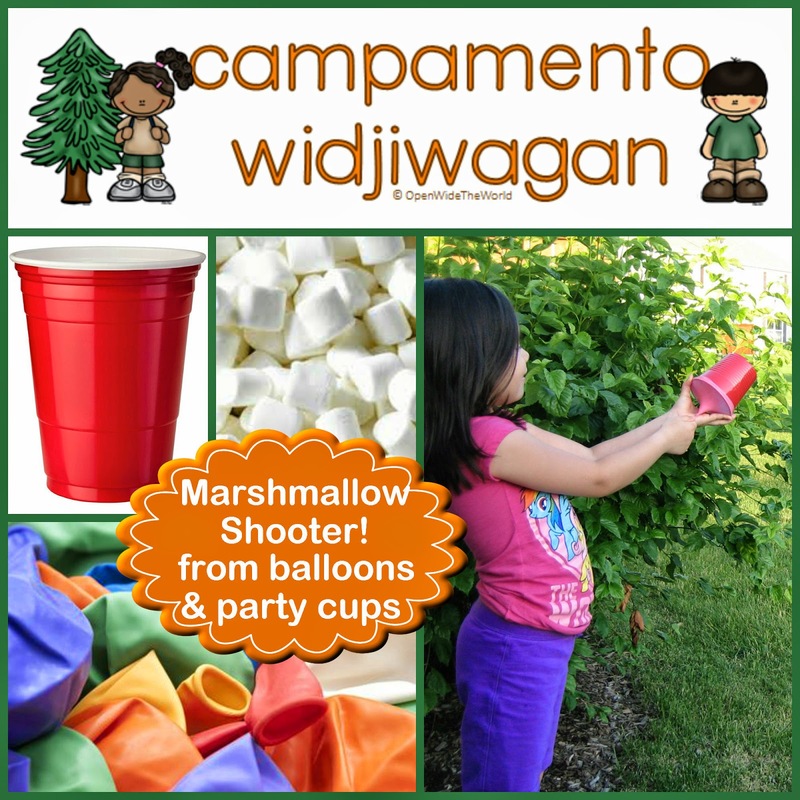 We've continued our camp-style activities this week, all right from the Campamento Widjiwagan Pinterest board, with the theme of Marshmallow Fun! Today's activity is marshmallow painting (the inspiration pin here, originating from Australia's "Tippytoe Crafts"). So simple and fun, I can't believe I'd never seen this before. I have to admit, the novelty of this medium was so intriguing, I had to jump in and try it, too! But I'll spare you my chef d'oeuvre. How is your summer review going? 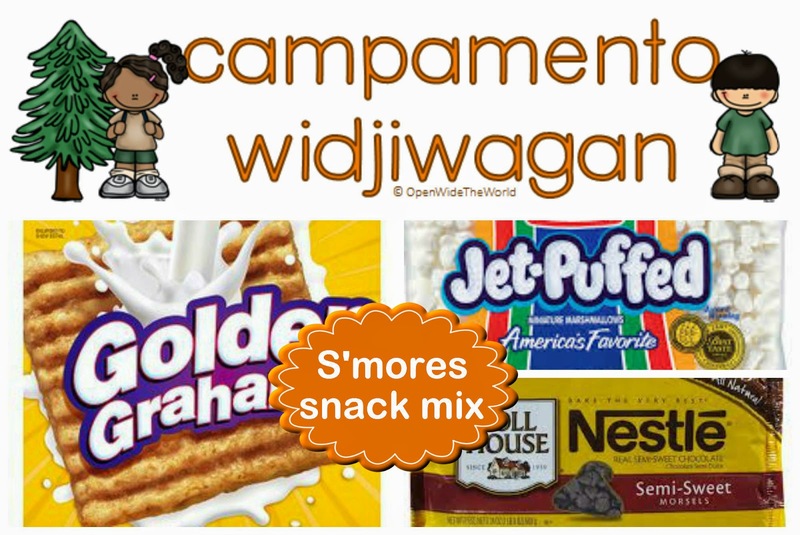 Campamento Widjiwagan, Week Two - S'mores Bars! A bit of an illness in the house kept us from most of our plans this week, with much of our Campamento Widjiwagan and World Cup activities being put on hold. Sigh. Want to try these yourself? Late for a BBQ party? Click the recipe image here below to download the printable recipe for this new favorite campfire-worthy treat! Friday was the last day of Week One of our month-long Campamento Widjiwagan experience; how could that be? Wow, time flies in the summer! Right?!! This Friday, like every Mon/Wed/Fri at Campamento Widjiwagan, was Academic Review Day. Our review focused on making & using a graph, skip-counting, using syllables to make a word, and word endings by gender. Mag has loved doing the review pages so much that she has been asking to work ahead in her book. Fortunately, I knew this was coming (since she felt the same way when working on our Christmas review book and spring break review book), so I was prepared. 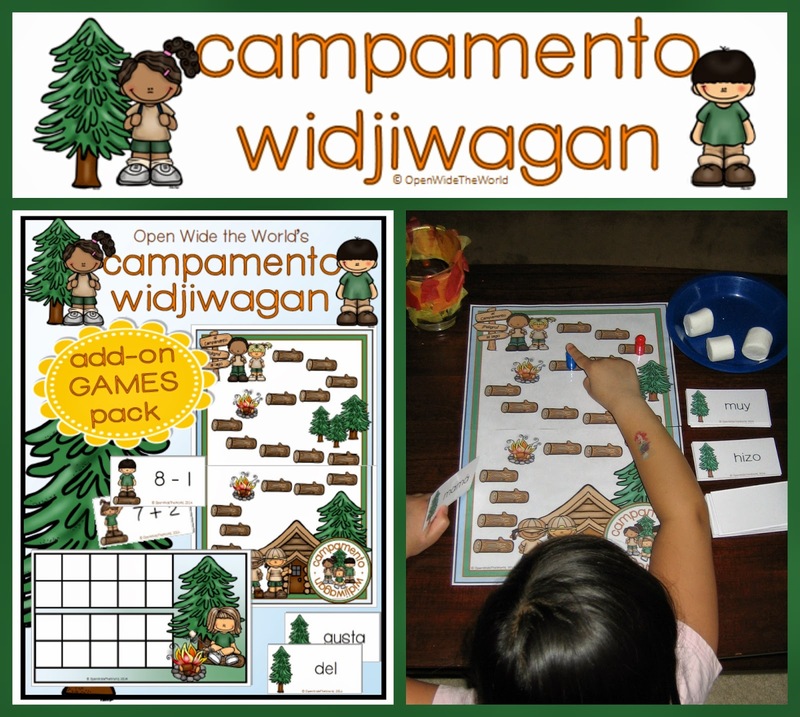 I had ready in the wings a Campamento Widjiwagan Game Pack, waiting for the day Mag would rather do more review than a camp craft. And this was that day! The Widji game pack includes 2 game board styles, 180+ review cards for math and literacy, and multiple options for play. This time, we practiced reading high frequency words (sometimes called sight words) in Spanish, as we raced back to camp. Oh, and stopped for a few marshmallows along the way, whenever we were lucky enough to land on a "fogata" (campfire) spot on the game board. Mmmm! And thus concludes Week One at Campamento Widjiwagan. Next week we will continue our camp experience with Week Two. However, we won't be doing a camp post daily in Week Two, as I may need some blog space to post about our World Cup activities. So many exciting things going on this time of year! What's happening in your world as summer begins? Wow! It's Thursday already, Day Four of our month-long Campamento Widjiwagan experience. Every Thursday at Campamento Widjiwagan is Book Report Day. We've read lots of picture books and a chapter book this week, and today, on Book Report Day, Mag chose a book from the week to complete our weekly write-up: "Clifford va a la escuela de perros" (by Norman Bridwell). She recorded the title, author, main character, and setting, as well as drawing and writing a sentence about a favorite moment from the story. Besides being Book Report Thursday, we had another special event "at camp" today: Daddy was home for the afternoon. Yay! So Mag's camp craft for today was a father-daughter activity... building and using a marshmallow launcher! With a little practice and some precision adjustments, the Widji catapults launched mini-marshmallows as far as 6 feet forward... although somehow my attempts seemed to average about 3 feet backward. I guess I'm not the physics pro in the family. Well, another chance next week with a second marshmallow launching activity on its way. We're continuing Week One of our month-long Campamento Widjiwagan experience. Today is Day Three, and like each Mon/Wed/Fri at Campamento Widji, it featured an academic skills review page. Day Three reviews syllable segmenting, medial sounds, comparing double digit numbers, and telling time to the hour. In addition to our skills review, we also had a yummmmmy camp snack: s'mores mix! Obviously, a very versatile and adjustable recipe. By request, we'll make Mag's next batch with chocolate chips instead of the choco-nuts... whereas I'll be doubling the choco-nuts in mine! Tip: depending on the brand of marshmallows, the humidity in the air, etc, the cereal may soften overnight, or in a day or 2, so I wouldn't advise making and storing this mix in large batches. Because of my love of camping, it has been difficult to wait these last two weeks to introduce Mag to Campamento Widjiwagan; I've been very eager for her to get started! So yesterday was a very exciting Day One "at camp." Mag completed an academic skills review page in her Camp review book, and created a "sit-upon" craft. Today, Day Two, is a Tuesday. And every Tuesday at Campamento Widjiwagan is Science Review Day. This Tuesday we reviewed seasons with an "invierno / verano" sort. 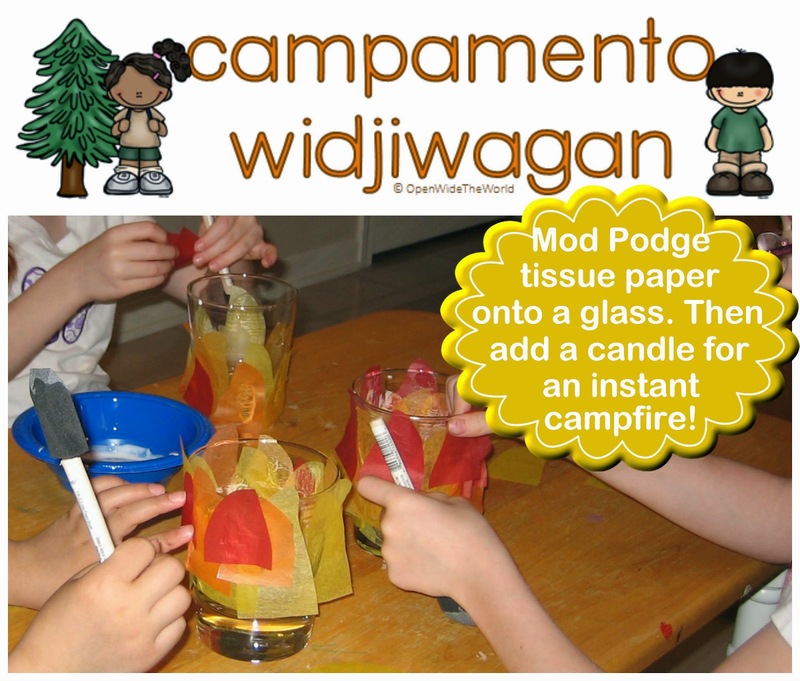 In addition to our science review, we completed a camp craft, from among the many fun options on our Campamento Widjiwagan Pinterest board: campfire candles! To make the event a little more special, we invited two more neighborhood "Campistas" to join us in the craft, thus los seis brazos de campistas in the picture. Cut yellow, orange, and red tissue paper into flame-like shapes. Spread Mod Podge or watered down glue onto a glass, candle holder, empty jar, or anything similar, and apply paper flames. Put a battery powered candle into the glass. And voilà! Instant indoor campfire! The girls had a blast building a tent out of dining room chairs and some blankets, and having an indoor, mid-afternoon camp-out with their self-made campfires! I have a feeling Mag's little indoor campfire will be an ever-present fixture in our summer review work! plus a yummy camp snack! Today began our long-awaited "Campamento Widjiwagan*" experience. Remember the good old sit-upon? In the 80s, they were most often made from a stack of newspaper, with a square of wallpaper laced together onto the front and back. I remember making them; not so much using them. But a kid's gotta make one, or it's just not summer camp. Right?! anything semi-waterproof over anything semi-cushiony. or sew with a machine. We used a picnic tablecloth cut to 13" by 26" and stuffed with polar fleece. The sit-upon gave Mag got her first experience with a sewing machine. I drew a sewing line onto the fabric for her to follow, she did a practice run on a remnant to get a feel for the foot pedal, and then she was off. It actually turned out perfectly; she was very pleased and proud of her work! 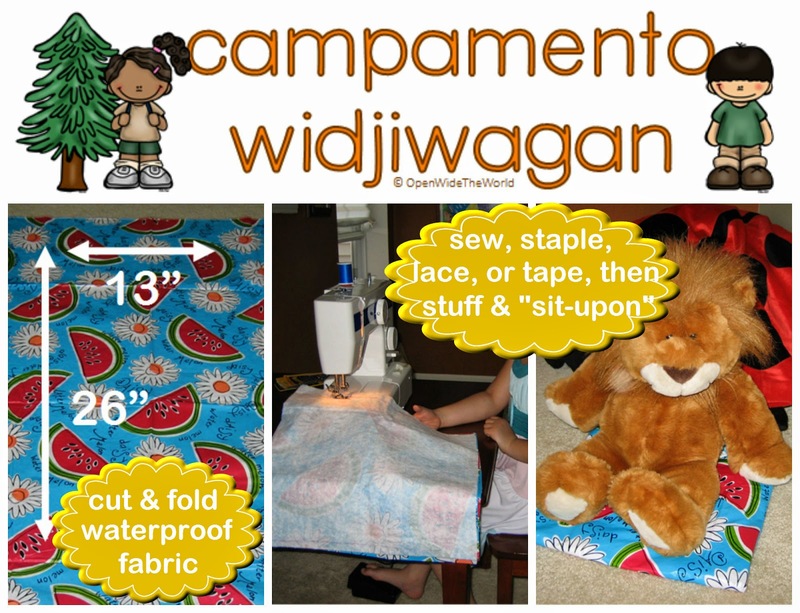 And so now, as we continue our time at Campamento Widjiwagan, Mag will have a nice cushy square to "sit-upon." Join us tomorrow for a science review page, and a fun fire craft. And you? How are you keeping academic skills fun and fresh this summer?